Ella, on the cover of this book, is pointing a camera at YOU! It’s Ella’s photographing of somebody’s private moment into an image that is almost instantly passed on to appease a bully ‘friend’, that brings this story to its crisis point. Knowing that Ella does such an intrusive and disloyal thing might make you inclined to dislike her. But author Cath Howe has been very clever and humane in the way that she handles Ella’s story. By the time we get to that moment of betrayal by Ella, we have a distinct feeling of ‘There, but for the grace of God, go I’. Can we honestly say that we, in her position, wouldn’t have done something similar? Ella arrives in a new home and at a new school burdened with her mother’s insistence that nobody should get to know that her father is in prison. She’s also embarrassed by the eczema she tries to hide. ‘Some people are edge people in playgrounds’, says Ella in this first person narrative. Ella is an ‘edge person’ until the popular girl shows an interest in her, but her ‘friendship’ comes with conditions. She wants gossip about the other ‘edge person’ in Willow Class. Poor Molly is also hiding secrets. 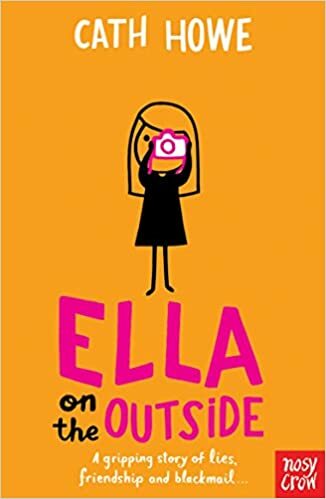 This is a very accessible read aimed at 8-12 year olds, refreshingly honest and kind and unsensational as Ella tells her story in a way that carries us with her, longing to know whether or not it can reach a positive conclusion. This is a book which will speak directly to many children, and open the eyes of others. Highly recommended.